"Yes, I'll take the chocolate chocolate chip, pink flower and the baby accessories," I stated on the phone, the friendly employee on the other end making recommendations to create the perfect dessert. Whether you need the "Baby Cakes" for a shower, a bundlet for a friend who's had a rough week or a bundtini round for Teacher Appreciation week, they have something for everything. They're beautiful, wrapped gorgeously, can be customized, reasonably priced and is sure to delight almost any eater. 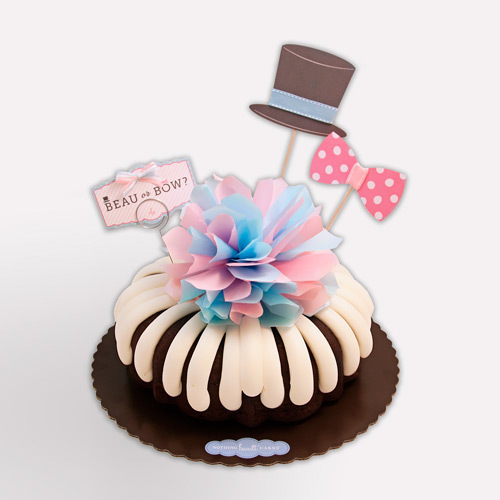 Recently, they came out with the "Baby Gender Reveal" cake, something I sure would've liked to have around a few years back. 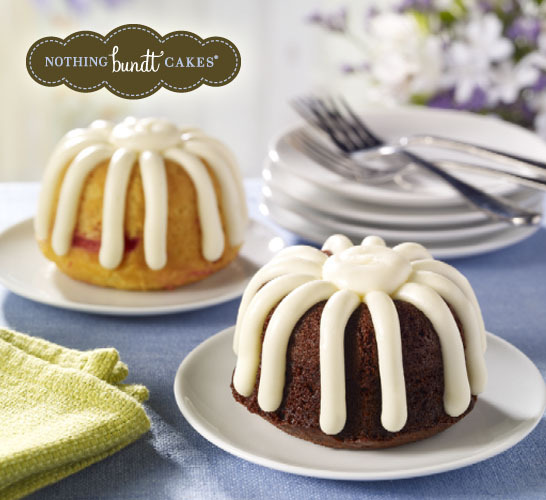 So give yourself a break from the kitchen next time you celebrate and give Nothing Bundt Cakes a ring. With a quick turnaround, it can be yours same day. And don't forget to a) sample one while you're there b) get one for you to indulge in while you drive home.